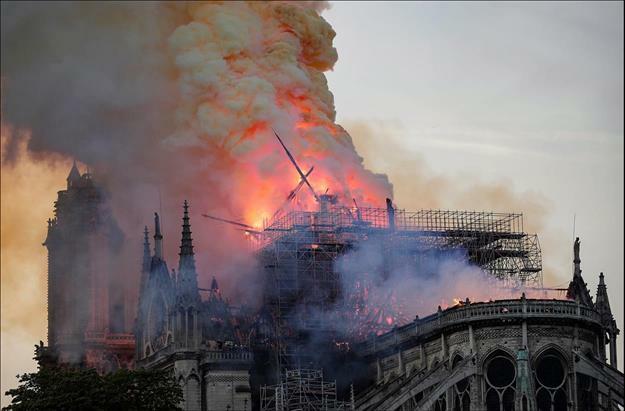 (MENAFN - The Conversation) The destruction of Notre Dame cathedral is lamentable. A wonderful icon has been largely destroyed by fire. However, we should not despair. But not all societies think like this. Some have quite different notions of what is authentic. Iconic buildings such as the Catherine Palace in Russia and Japan's historic monuments of Ancient Nara have been successfully restored, sometimes after great damage, and are today appreciated by millions of people. The preamble to the International Charter for the Conservation and Restoration of Monuments and Sites , (the Venice Charter 1964), states that, 'Imbued with a message from the past, the historic monuments of generations of people remain to the present day as living witnesses of their age-old traditions … It is our duty to hand them on in the full richness of their authenticity'. But in our diverse world, the definition and assessment of authenticity is a complex matter. The World Heritage Convention guidelines state that properties may be understood to meet the conditions of authenticity if their cultural values 'are truthfully and credibly expressed'. Japan's historic monuments of Ancient Nara - comprised of Buddhist temples, Shinto shrines and the excavated remains of the great Imperial Palace – provide important insights into the nation's capital during the 8th century. These buildings are not less authentic because they were extensively restored after the enactment of the Ancient Shrines and Temples Preservation Law in 1897. The Catherine Palace ballroom. Wikimedia What about the relics and artworks? Another way forward would be to restore the structure in a similar manner to that of Catherine I's palace, in which an untutored eye finds it difficult to distinguish between the old and new parts of the structure. Given the extent of the damage, this would be the more aesthetically pleasing and less jarring approach. Unlike other places of deep cultural significance, which may be destroyed forever due to commercial development, Notre Dame can be rebuilt. With modern technology, it is entirely possible for the cathedral to be recreated with near-accuracy to the original. We can do this and keep the previous building's spirit and feeling.